Solid Sterling 925 Silver Ball & Loop Earring Fittings! 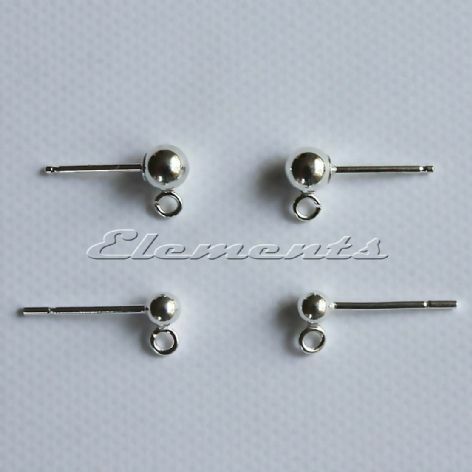 1, 2, 5 or 10 Pairs of ball &loop post earring fittings! Ball sizes: 3mm or 4mm. Highly polished to shiny gloss finish!